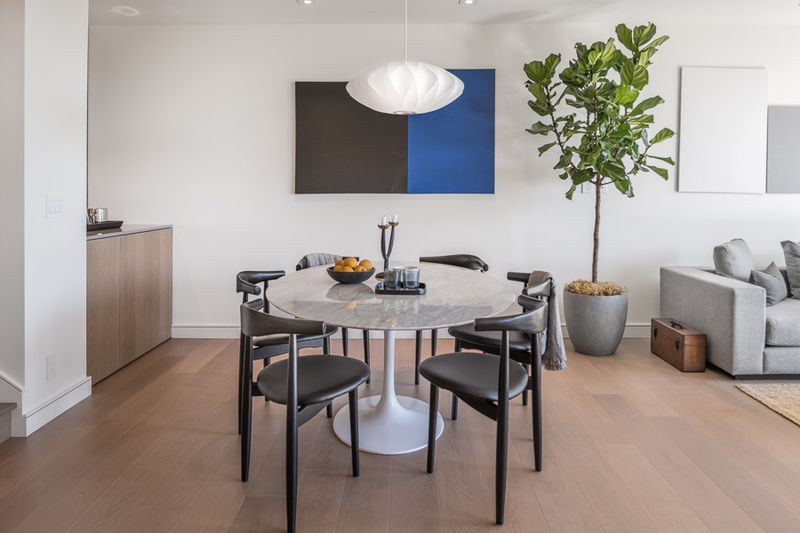 Contemporary design and striking modern finishes are at the heart of this stunning two-bedroom residence ideally positioned at the end of a quiet street in Mission Dolores. Impressively designed and appointed with clean lines and natural hues, it is an ideal backdrop for art and entertaining. 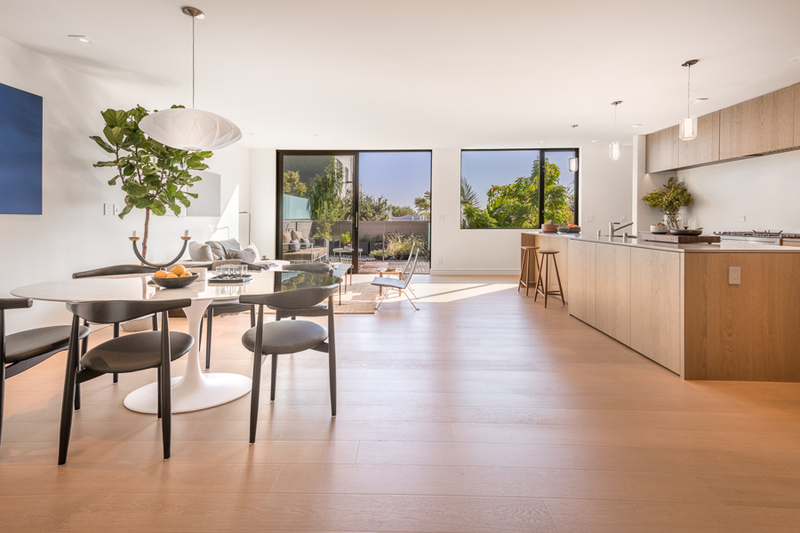 Details include wide-plank oak hardwood floors, floor-to-ceiling windows, top-of-the-line finishes, and radiant floor heating. The great room is drenched with sunlight that pours through the windows and enjoys serene outlooks to the treetops below. 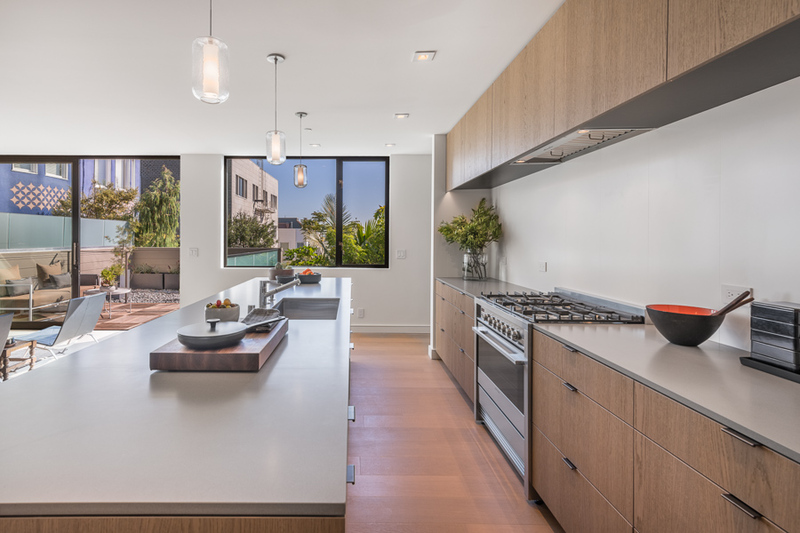 The kitchen encourages an array of culinary pursuits with its stainless-steel gas range, oversized island, abundant storage and counter space, and walk-in pantry. 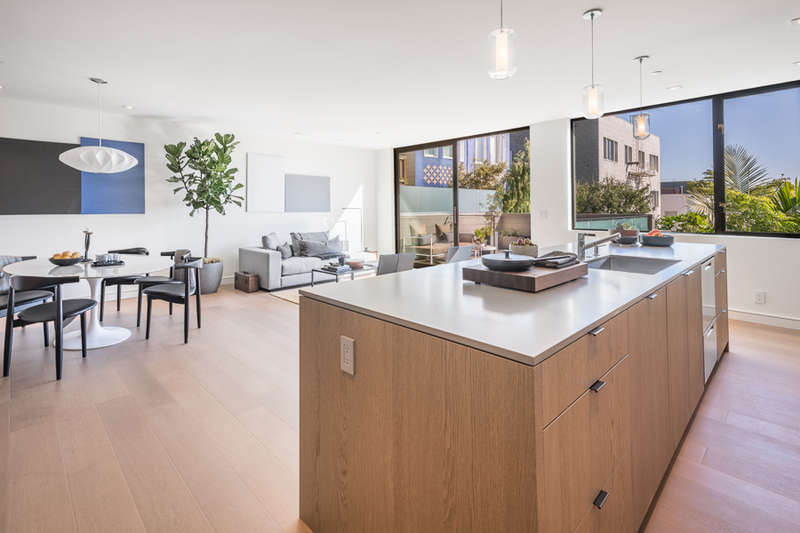 The room’s fluid floor plan allows for effortless entertaining. A wall of sliding glass opens to a private deck off of the entertainment space, acting as an extension of the living space. Adjacent to the kitchen is a flexible den that affords quiet seclusion. The master bedroom is thoughtfully positioned on the western side of the home with a large picture window overlooking the charming neighborhood below and lets light fill the restful room. The en-suite bath features a dual-sink vanity and a spacious glass-walled shower. Quiet and comfortable, the guest bedroom includes a bay window and an inviting window bench. Just outside is a second full bath complete with a European-style shower. In a thoughtful touch, both bedrooms are fitted with generous closets. Finishing this level of the home is an in-unit laundry closet. 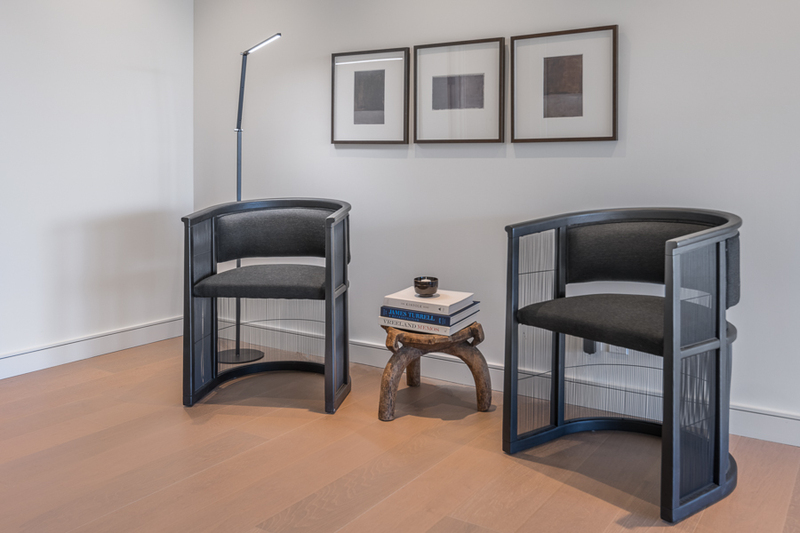 21 Rosemont Place is one of three luxury residences in a newly constructed boutique building. 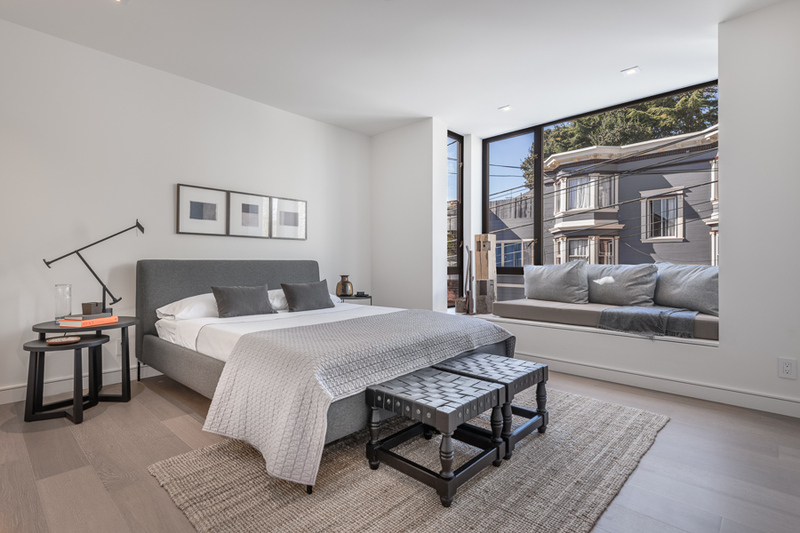 Located on a tree-lined cul-de-sac in the heart of the vibrant Mission Dolores neighborhood and within close proximity to Dolores Park, Whole Foods, and many highly regarding restaurants. Local favorites include Mission Beach Café, Bi-Rite, Tartine, Delfina, Frances, Tawla, and Burma Superstar, just to name a few.